These bowls and platters would make and ideal table centrepiece with a fruit display. They have been finished with one coat of oil and finally a wax based on beeswax. They are safe for fruit but not suitable for foods with a higher moisture content such as salad. 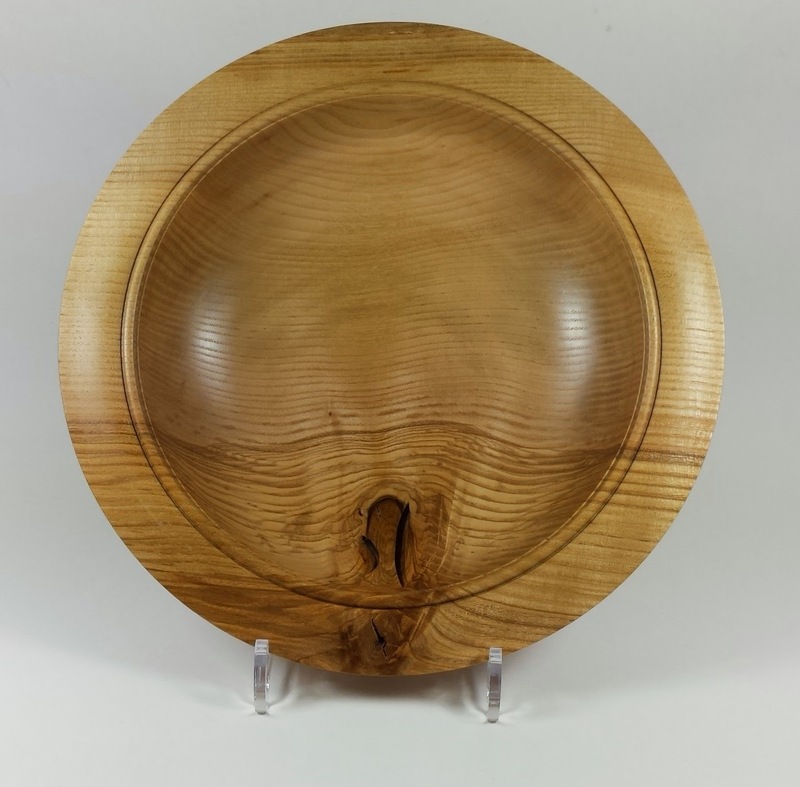 A large, shallow oak platter, 13" diameter. The rim has been scorched with a bead detail. The wavy grain and natural cracks enhance the rustic appearance. 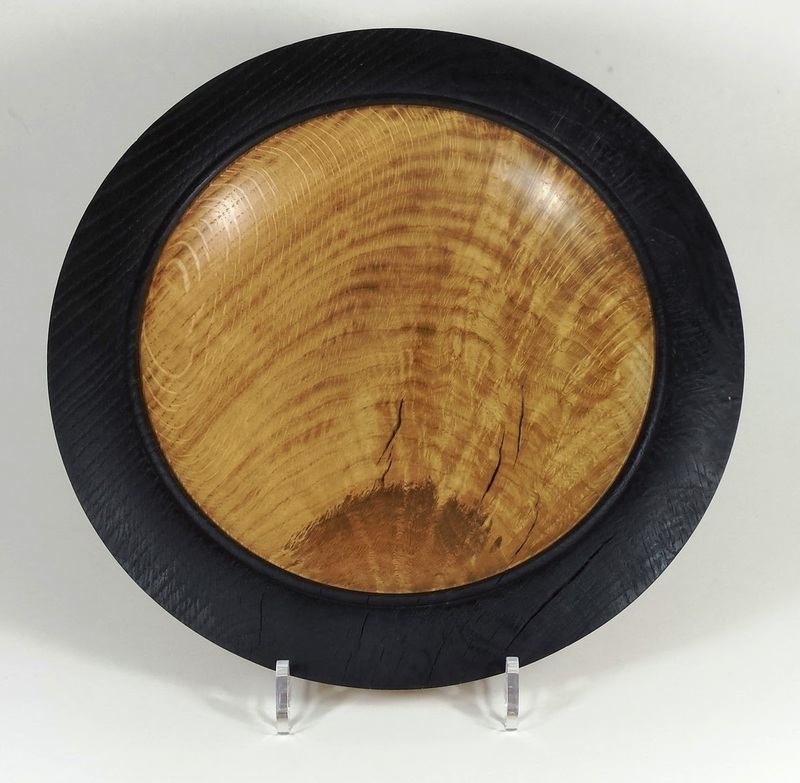 A deep fruit bowl made from Ash. The remains of the branch near the edge enhances the appeal and adds a point of interest.